Lord Shanakill. Photo courtesy of Pin Oak Lane Farm. “Lord Shanakill is probably the only Grade 1 winner who is also a Grade 1 producer standing in the Mid-Atlantic, and he was possibly the best horse of his class on the racetrack,” says Dr. William Solomon. Solomon stands Lord Shanakill on his Pin Oak Lane Farm in New Freedom, PA, for $3,500, with multiple mare discounts available down to $2,000. It’s an impressive enough resume to start with, but that’s not where it ends. Lord Shanakill is also supremely well bred, a son of Speightstown out of the Theatrical mare Green Room. That makes him a half-brother to the English Group 1 winner Together Forever. 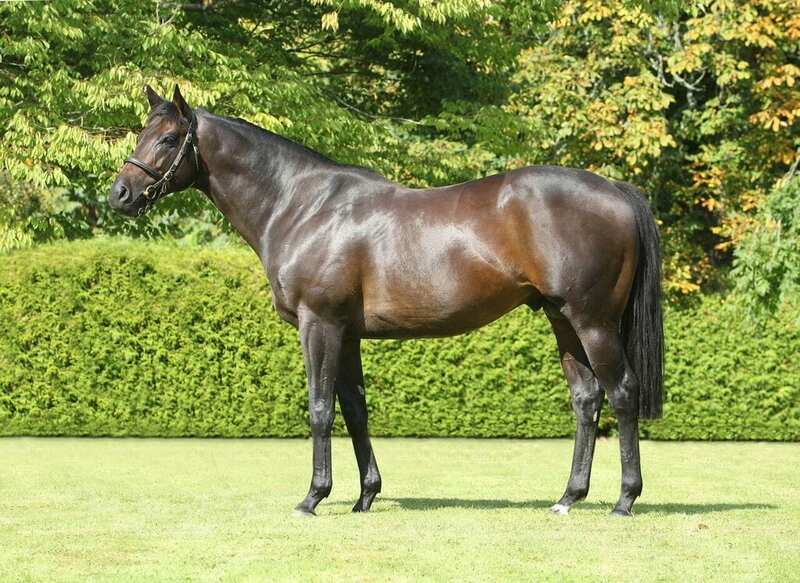 It also makes him the latest stallion — he entered stud in Europe in 2011 — to carry on the Mr. Prospector line. Speightstown is by Gone West who, in turn, was by Mr. Prospector. “Mr. Prospector line stallions, in my opinion, are the best of the best of the best,” Solomon says. On the racetrack, Lord Shanakill was a precocious speedster. He made eight starts at age two, winning the Group 2 Mill Reef Stakes at Newbury, England. He also placed in four other graded events as a juvenile, including a near-miss runner-up effort in the Group 1 Darley Dewhurst at Newmarket. At age three, he added the Group 1 Prix Jean Prat, at Chantilly, to his spoils, and the following season, he added a score in the Group 2 Lennox Stakes at Goodwood. Overall, he won five of 18 career starts, amassing more than $900,000 in career earnings. In the breeding shed, too, he’s enjoyed high-level success. His top runner to date, My Dream Boat, out of the Choisir mare Betty Burke, won the 2016 Group 1 Prince of Wales’s Stake at Royal Ascot, defeating A Shin Hakari, at the time the top-rated racehorse in the world, and Found, also considered among the world’s ten best. My Dream Boat is an inch shy of the $1 million mark in career earnings. Last Gunfighter. Photo courtesy of Pin Oak Lane Farm. Another interesting horse at Pin Oak Lane is one familiar to American racing fans of recent vintage: the multiple graded stakes-winning millionaire Last Gunfighter. 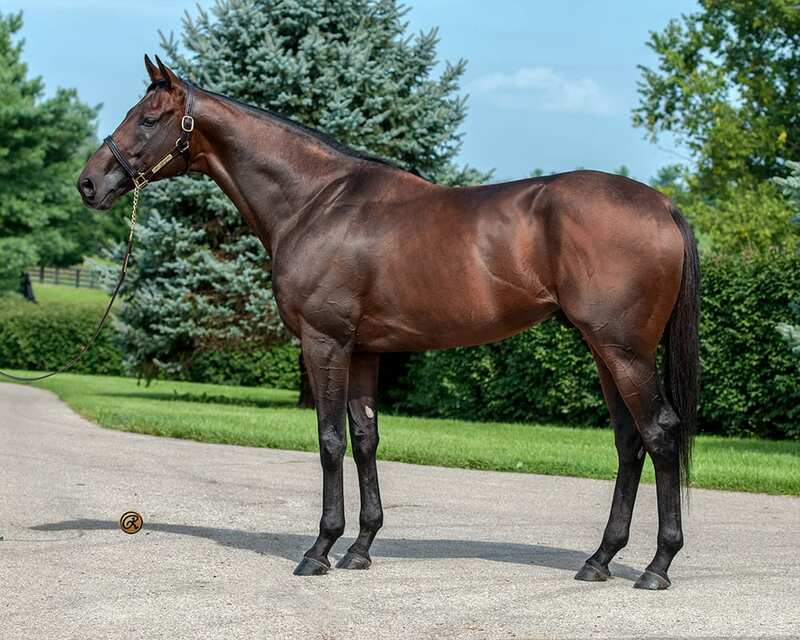 “He’s an incredible-looking horse who recorded seven triple-digit Beyers, won four graded stakes, and defeated the best horses of his generation, including Flat Out, Paynter, Game On Dude, Alpha, and Orb,” Solomon points out. In all, Last Gunfighter won nine times and earned over $1.2 million in his terrific career. He also proved durable, running at least five times — and recording at least one win — at ages three, four, and five. Among Last Gunfighter’s signature wins were the Grade 2 Hawthorne Gold Cup and and the Grade 3 Pimlico Special. His stakes wins came at distances from one mile to 1 ¼ miles. Last Gunfighter also possesses an enticing pedigree. He is by First Samurai, perhaps the best of Giant’s Causeway’s sons at stud. Giant’s Causeway is by uber-sire Storm Cat. “His sire line represents the very best of the Storm Cat line through Giant’s Causeway,” Solomon says. Last Gunfighter is out of the Sir Cat mare Saratoga Cat. Saratoga Cat’s other offspring include multiple graded stakes winner Tiger Moth, who has earned over $640,000, and 11-time winner Kanagaro. Last Gunfighter stands for $2,500 with multiple mare discounts available down to $1,500.